I wonder – are there any other kind? 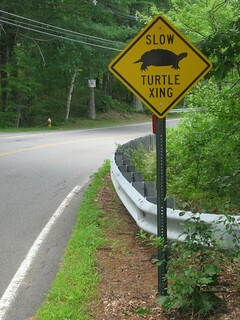 Perhaps all of the fast turtles need to cross up the street further. your gorgeous photo to polls boutique’s group. Hi, I’m an admin for a group called Crossing Turtles signs, and we’d love to have this added to the group!